NEW YORK, May 15, 2018 /PRNewswire/ — Cybercrime is the greatest threat to every company in the world, and one of the biggest problems with mankind. 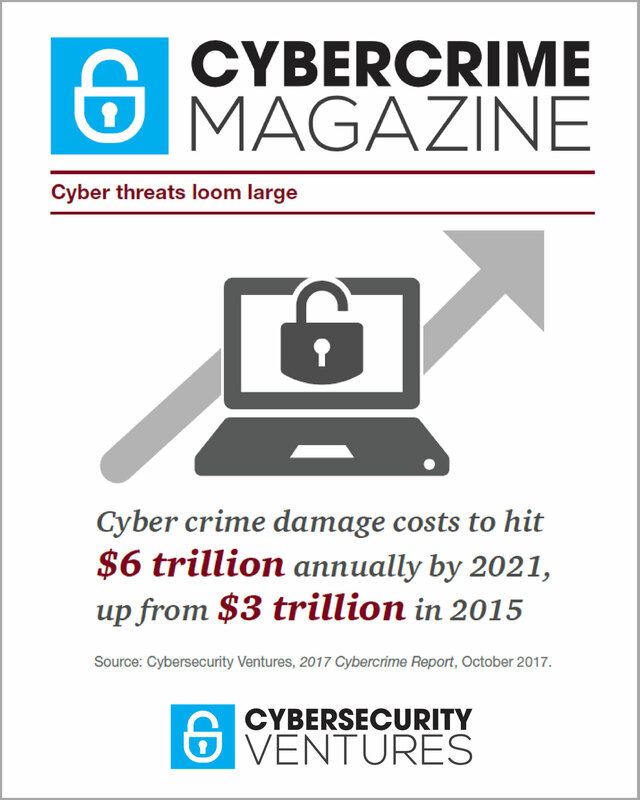 The impact on society is reflected in the Official 2017-2018 Cybercrime Report, published by Cybersecurity Ventures. According to the report, cybercrime will cost the world $6 trillion annually by 2021, up from $3 trillion in 2015. This represents the greatest transfer of economic wealth in history, risks the incentives for innovation and investment, and will be more profitable than the global trade of all major illegal drugs combined. Now in its third year, the Cyber Investing Summit is an all-day conference focused on investing in the cybersecurity industry, which is predicted to exceed $1 trillion in cumulative spending on products and services over the next five years, according to the Cybersecurity Market Report. Cybersecurity Ventures is the world’s leading researcher and publisher covering the global cyber economy, and a trusted source for cybersecurity facts, figures, and statistics.